This office space was a collaborative effort between Carey Designs and the Doctor/Owner of this rather remarkable new office. 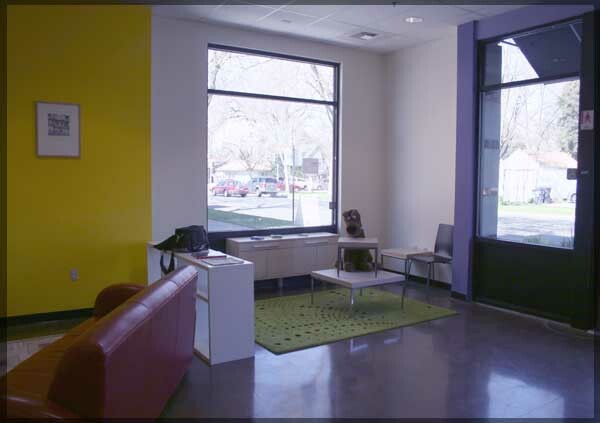 Dr. Steve Nowicki came to us with the task of designing his new office space (which was set to open in two months). Not only were we able to assist him with designing the space but many aspects which make it so unique were a collaboration effort between the Designer, the Craftsman, and Doctor Nowicki himself. The Doctor is an avid metal worker with a fondness of bright vivid colors and images. In order to incorporate some of these traits into his office we began with a design to identify the basic color palette to be used and which pieces of furniture could be purchased versus which ones were going to need to be fabricated, in most cases due to size constraints. The initial designs were rendered in Auto-CAD to provide an accurate representation that could be easily changed in the computer before any work was done. As you can see from the original design the end space very closely reflects the final design. 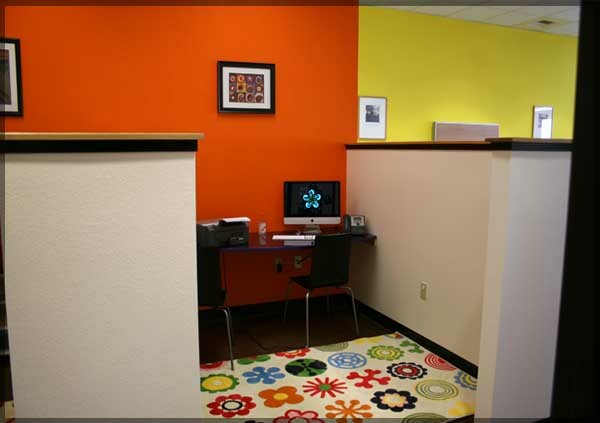 The bright colors directly reflect the personality of the Doctor and how he wants his office to be viewed by its patients. 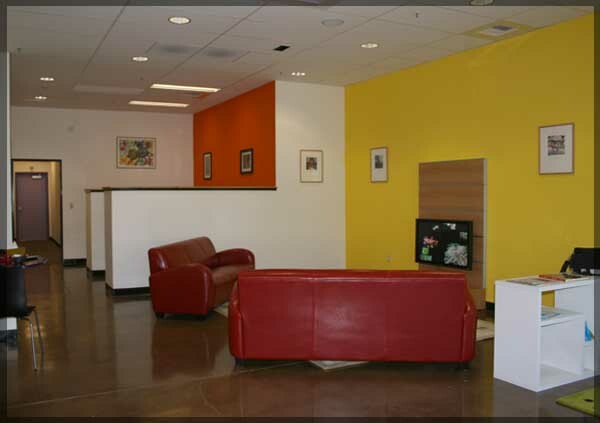 All furniture within the area was specifically chosen to be easily moved to accommodate children's art classes and night-time activities like the Davis art walk. During the day the office is very functional and within moments it can be transformed to an entirely different space suited for whatever the task is at hand! One of the most impressive features of the space as a whole is the custom metal work that has been incorporated into the office. 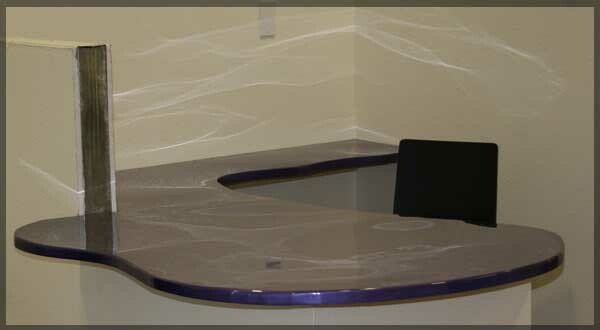 Due to the tight constraints and need for rounded corners on furniture it was decided that nearly all of the work surfaces would need to be fabricated. Since Dr. Nowicki is a talented metal worker it seemed only natural to incorporate his talents into the office. Which gives each top such a reflective finish that you can see the patterns made by the reflection on the wall. Finally a retail area was incorporated into the space that faces the main street so that items can be sold to patients right inside the clinic (as opposed to referring them somewhere else). On project left for this area includes a custom made shelving unit that uses bright purple pipes as support structures with lime green shelves that will tie in nicely with the rest of the green and purple throughout the office.